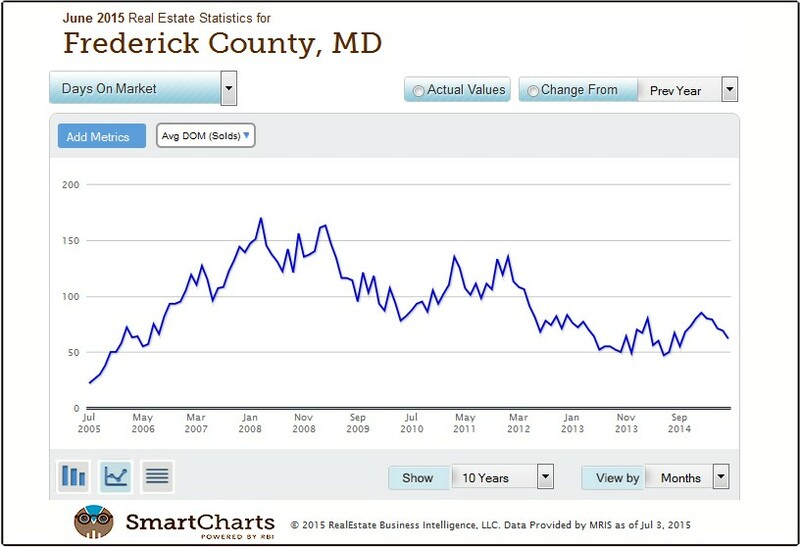 July 2015 - For those who watch the housing market prices, Frederick County saw a 54% rise in number of properties sold in June 2015 over June 2014! This jump was, however, not accompanied by a price jump. The average single family home price dropped slightly over last year averaging $352,838 in June 2015 compared to $3562,223 in 2014. The average number of days on market has also fluctuated over the past few years and stands at 62 days right now. Inventory is still somewhat lower than we like to see. Around 10% of homeowners are still underwater and they've been wanting to sell for some time. As prices rise, they can jump in the market to sell their homes. 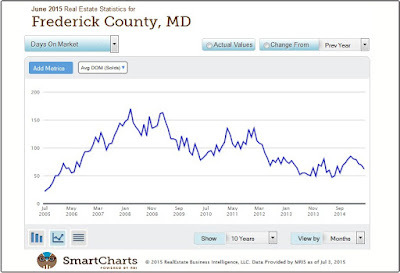 The following charts show the 10 year trends for Frederick County. 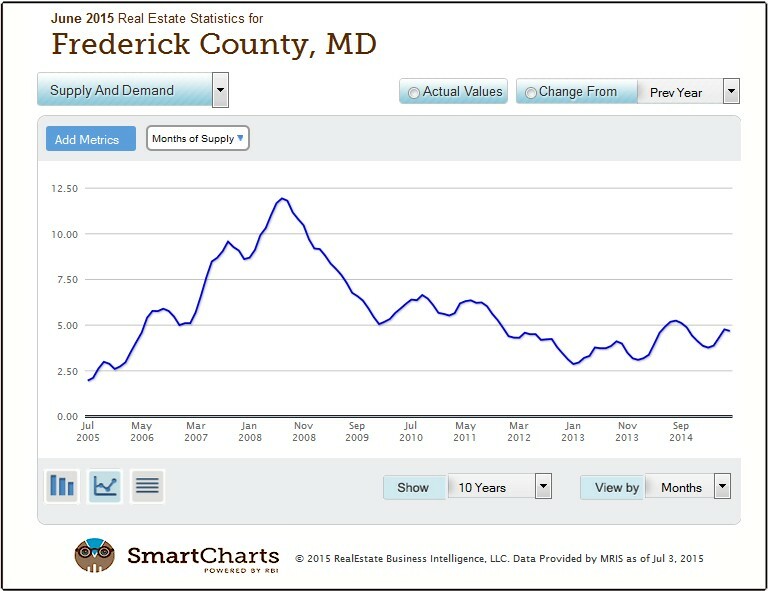 Frederick County saw a 54% rise in number of properties sold last month over last June! 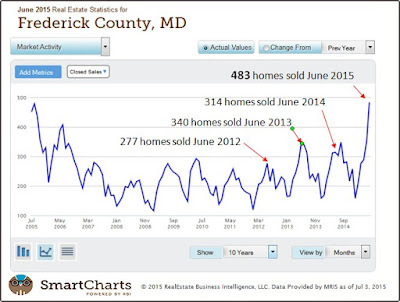 Though more homes sold in June 2015 than last year, this did not translate into a price jump. 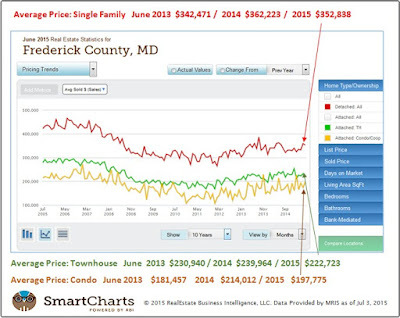 The average single family home cost $352,838 in June compared to $3562,223. Summer Food Service Program in Frederick MD. The Summer Food Service Program is operated locally by the Frederick Community Action Agency (FCAA), provides a lunchtime meal for children and youth that would typically qualify for free- or reduced-price meals through the public school system; pre-school age children can also be served through the program. "When schools are closed for the summer, some children in Frederick County could literally go without a lunchtime meal if not for the Summer Food Service Program," reported Mike Spurrier, Director of the FCAA. During the summer of 2014, the FCAA served 21,535 meals to hungry children and youth at nine (9) different feeding sites in Frederick and Walkersville. 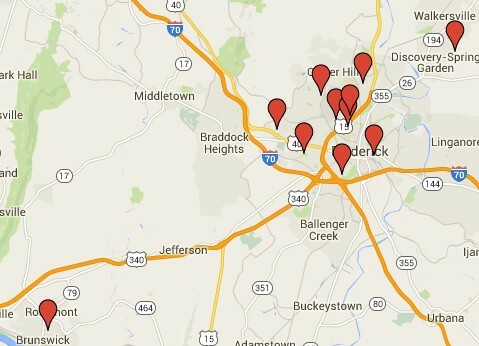 This summer FCAA staff will be serving meals at thirteen (13) sites that are open to the public including new sites in Brunswick, Thurmont, and Emmitsburg. 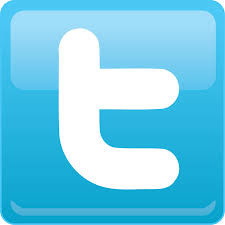 It is estimated that the program may serve as many as 25,000 meals over the course of the summer of 2015. "The Frederick Community Action Agency (FCAA) is working hard to make sure that all children have access to healthy, nutritious meals this summer through the Summer Food Service Program", stated Sarah McAleavy, Coordinator of the Food and Nutrition Services for the FCAA. The Summer Food Service Program is administered on the federal level by the U.S. Department of Agriculture (USDA) and in Maryland by the Maryland State Department of Education. Through the Summer Food Service Program, the FCAA will offer a free lunchtime meal to all children up to 18 years of age. Acceptance and participation requirements for the program and all activities are the same for all children. 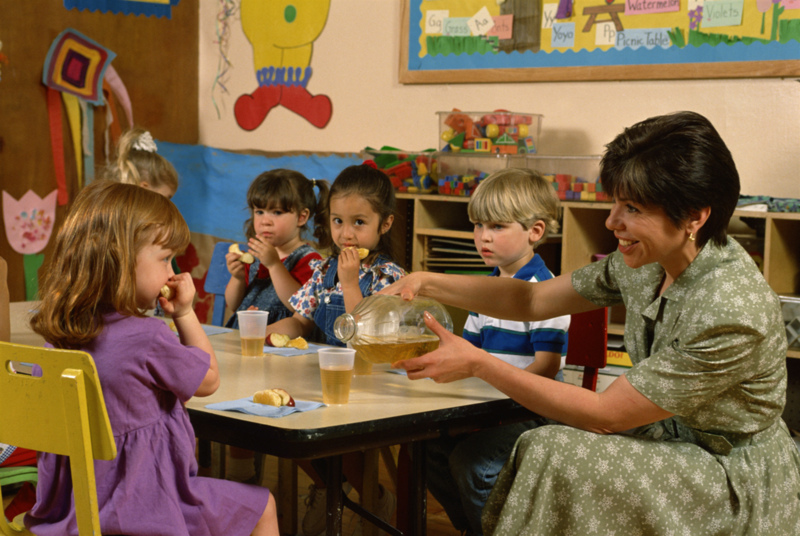 In accordance with USDA regulations, there will be no physical segregation or other discrimination against any child because of race, color, age, national origin, gender, or disability. College Estates Park on Taney Avenue, Frederick - 12:15 to 1:00 p.m.
Hill Street Park Pavilion on Hill Street Park, Frederick - 12:30 to 1:30 p.m.
Carrollton Park on Center Street and Prospect Boulevard, Frederick - 12:00 to 12:45 p.m.
Stonegate Park Pavilion on Andover Lane, Frederick - 12:00 to 12:45 p.m.
PAL Center on Sagner Avenue in Lucas Village, Frederick - 12:00 to 12:30 p.m. Carver Community Center on Lee Street, Frederick - 12:00 to 12:30 p.m.
Amber Meadows Park on Amber Drive, Frederick - 12:00 to 12:45 p.m.
Jimmy McGee Memorial Park on Old Farm Drive, Frederick - 12:00 to 12:45 p.m.
Hospital Park at 310 West 7th Street, Frederick - 12:30 to 1:15 p.m.
Kim Weddle Park on North Maple Ave, Brunswick - 12:15 to 1:00 p.m.
Emmitsburg Memorial Park Chesapeake Street, Emmitsburg - 12:30 to 1:00 p.m.
East End Park at 804 East Main Street, Thurmont - 12:15 to 1:00 p.m. 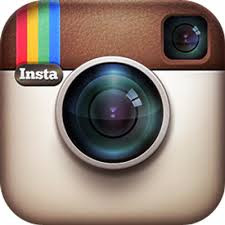 Discovery HOA Building on Stauffer Road, Walkersville - 11:30 a.m. to 12:30 p.m. The Summer Food Service Program is partially funded by the USDA, but the USDA reimbursements do not cover the entire cost of operating the program. Monetary donations are accepted to help operate the Summer Food Service Program and contributions can be mailed to the FCAA at 100 South Market Street, Frederick, Maryland 21701. Donations are tax-deductible and checks should be made payable to the Friends for Neighborhood Progress, Inc. - the tax-exempt, non-profit corporation that co-sponsors the FCAA. Through a wide array of programs and services, the FCAA provides food, shelter, medical care, housing, transportation, and other assistance to families and individuals that are low-income or homeless. 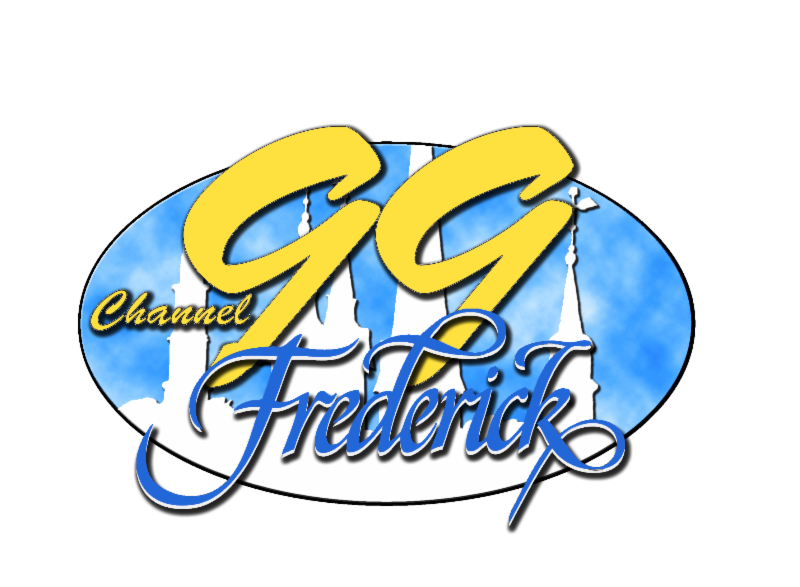 The FCAA is sponsored by the City of Frederick and Friends for Neighborhood Progress with support from the Frederick County Government. Any complaints of discrimination should be submitted in writing within 180 days of the incident to USDA, Director, Civil Rights, Room 326-W, Whitten Building, 1400 Independence Avenue, SW, Washington, D.C. 20250-9410 or call 202-720-5964(voice and TDD). The USDA is an equal opportunity provider and employer. For more information about the Summer Food Service Program or any of the services offered by the Frederick Community Action Agency, please contact Mike Spurrier, Director at 301-600-3959 or Sarah McAleavy, Coordinator of Food and Nutrition Services at 301-600-6263.Additional information can also be found on the FCAA's website at www.cityoffrederick.com/fcaa. Bike News - Upcoming Bicycling Events and MORE! 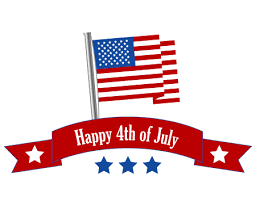 City Hall will be closed Friday, July 3rd in observance of the July 4th Holiday. Downtown parking meters & garages will offer free parking on Saturday, July 4th. Normal parking rates will apply on Friday, July 3rd. And the work continues! To see the progress on the Creek, visit the DED blog. 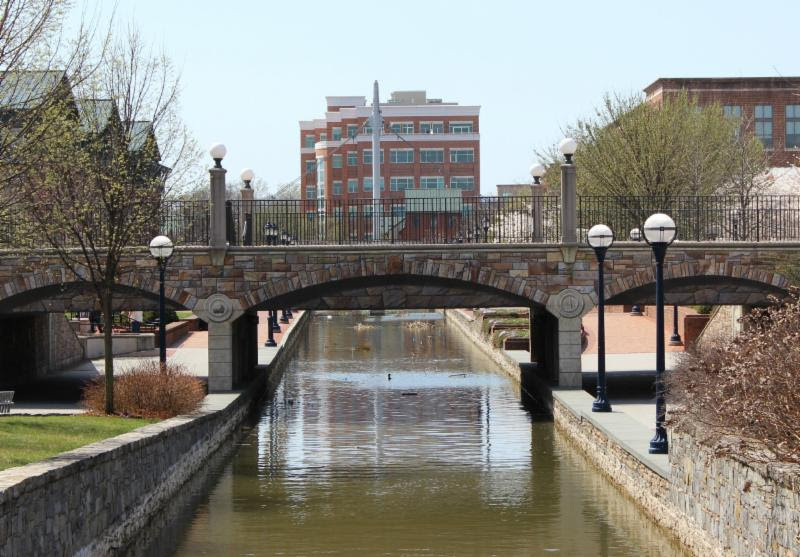 Stay tuned for more exciting news about the four fountains on Carroll Creek! 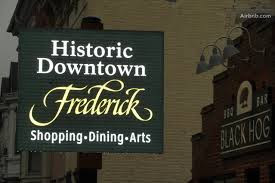 Celebrate Frederick on the 4th! Saturday, July 4th from 12:00 noon until dusk featuring regional and national entertainment, rides, activities, food, bathtub races at Culler Lake and more! Fireworks at Dusk - Visit where to sit to grab your seat early. 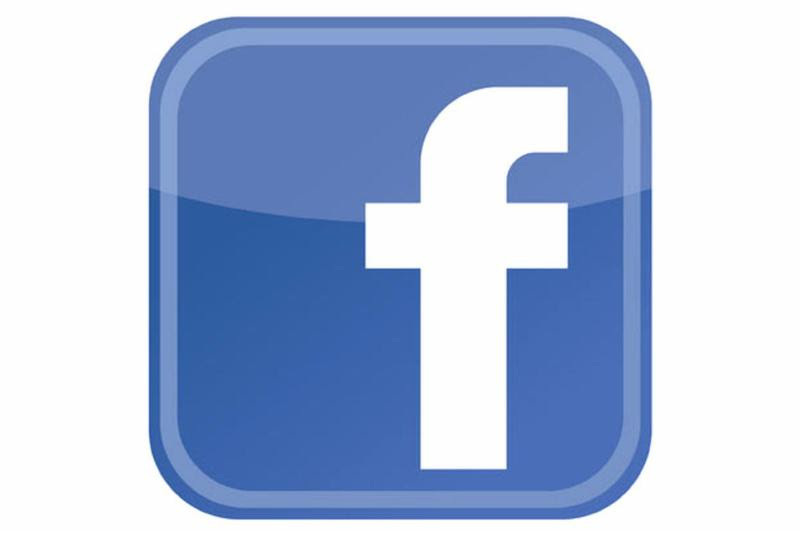 Beer & Wine Gardens - One time $5 cover charge -12:00 noon - 8:00 PM at three locations. 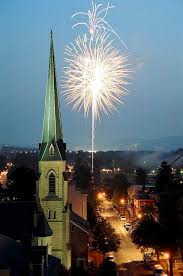 Go to See more of Frederick's 4th of July. 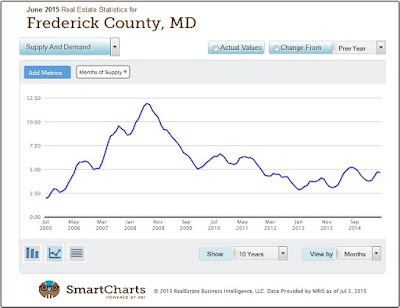 For more information, visit Celebrate Frederick or call 301-600-CITY (2489). The Emerald Ash Borer infects and kills Ash trees and this pest has now been found in Frederick. The City plans to treat and/or remove infected trees in the City's Right of Way. Mayor McClement has scheduled an informational workshop for residents on Wednesday, July 29th at 7:00 PM in the Municipal Annex Bldg. located at 140 West Patrick Street. Tom Lupp, Entomologist with MD. Department of Agriculture, a representative from the Department of Natural Resources and City Arborist will be available to answer questions. 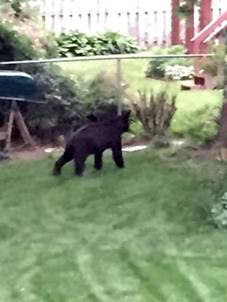 ** Pictured above is a black bear recently sighted in Amber Meadows. Mayor McClement has set aside the 4th Tuesday of each month from 2-6 p.m. to meet informally with citizens to discuss topics or issues of their choice. The next Talk with the Mayor Tuesday will be July 28th. A free lunch is available to all children 18 years of age and under, Monday - Friday through August 21st (except July 3) at the following locations. 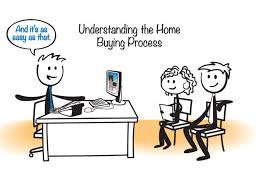 Find out all you need to know about the process of buying a house from start to finish! The Frederick Community Action Agency offers a FREE Home-Buyer Education Workshop on the 3rd Saturday of each month. 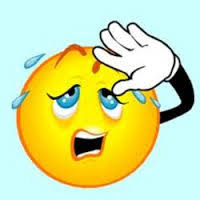 Anyone can be a victim of a heat related illness. The Maryland Department of Health and Mental Hygiene offers hot weather tips that Marylanders should follow. For more information on preventing, recognizing and treating heat related illness, visit Hot Weather Tips. Enjoy free* children's entertainment at the Summerfest Family Theatre every Thursday at 10AM through August 6th at the Baker Park Bandshell. From clowns to magicians to music and puppeteers, children will be thoroughly entertained! For details, visit Summerfest. 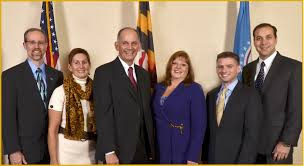 *Canned food donations will be accepted in support of the Frederick Food Bank. 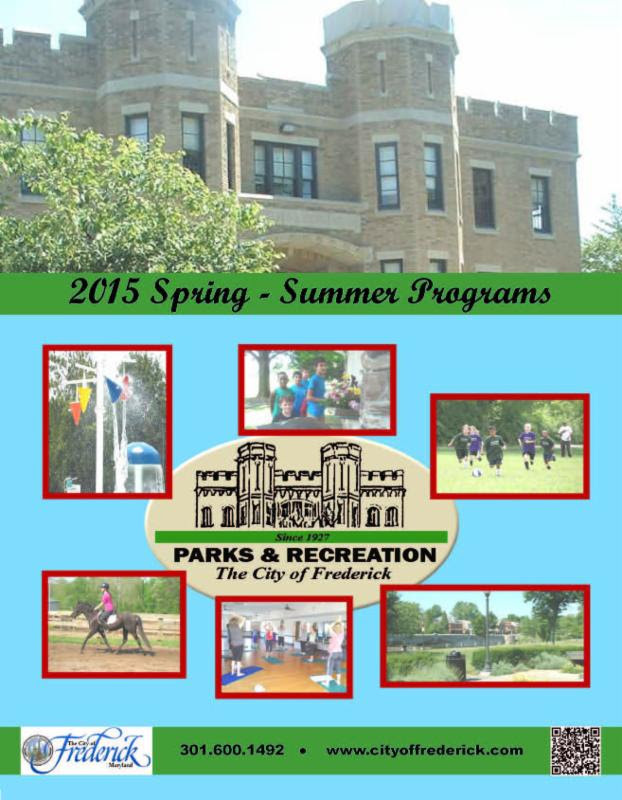 To find out more about Parks & Recreation Summer Camps and Activities, go to Summer 2015. City swimming pools are open daily from 12:30 PM - 8:00 PM. William R. Diggs Pool - 125 West All Saints Street. Pool Passes and Punch Cards are available! Upcoming Bicycling Events and MORE! View the City's Bike to Work Day 2015 recap here. The summer Neighborhood Advisory Council (NAC) schedule is as follows. 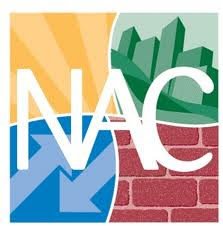 All NAC meetings begin at 7:00 PM. Sign up for the Frederick Police Youth Academy Youth will have the opportunity to learn what it is like to be a police officer. Join the Frederick Police Department and your community for the annual National Night Out festivities! Activities are scheduled for all 4 locations on Tuesday, August 4th from 6:00 - 9:00 PM.